You've probably already read more than one list of "The Best Weapons in Games," so we wanted to take a fresh approach. After all, every game with a pistol's also got a shotgun, assault rifle and sniper. But you see, most lack ice beams, shoulder-mounted nukes, and electric shuriken launchers. 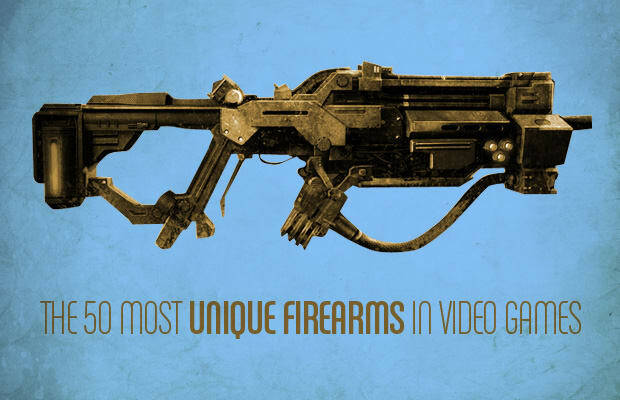 That's why we decided to focus on gaming's most unique weapons. Not all of these are the most powerful. Hell, not all of them are even technically guns. But whether you prefer Metroid to Quake or Final Fantasy to Halo, we've absolutely got you covered. And if you can think of a one-of-a-kind firearm that we forgot, well, you don't get a prize, but we're sure you'll berate us in the comments or on Twitter anyway. Now read on!